Yarn Type SALE 30% OFF! From the same stable as our much-loved Cotton 4 Ply and Cotton DK yarns. It is made using 100% mercerised cotton, this creates a yarn with a subtle sheen and the most incredible stitch definition, perfect for both knit and crochet designs. Cotton Prints DK comes in a range of tonal shades, including both modern brights and softer hues too. It is a machine washable, standard double knitting yarn and will knit to all Sirdar double knitting patterns. Convert to your own currency. Leaflet with designs for a Top using Cotton Prints DK. Leaflet with designs for Sleeveless and 3/4 Tops using Cotton Prints DK. 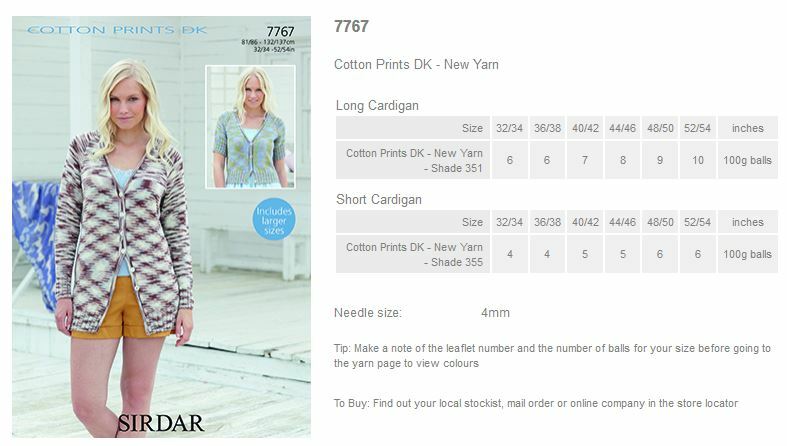 Leaflet with designs for Long and Short Cardigans using Cotton Prints DK. Leaflet with designs for 3/4 and Short Sleeved Tops using Cotton Prints DK. 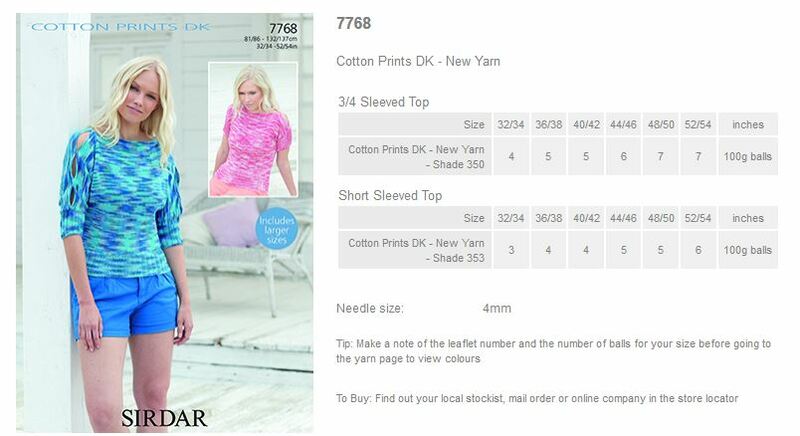 Leaflet with designs for a Tops and Vest using Cotton Prints DK. 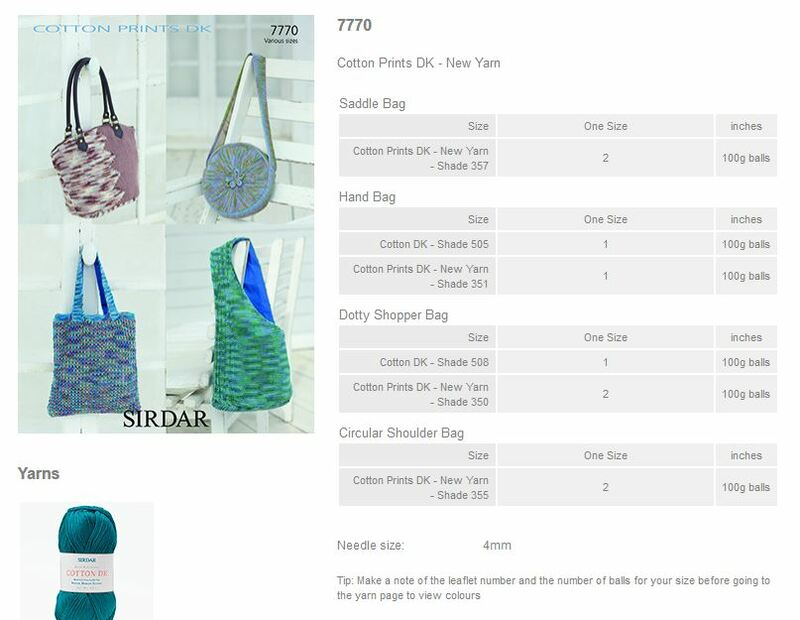 Leaflet with designs for Bags using Cotton Prints DK. 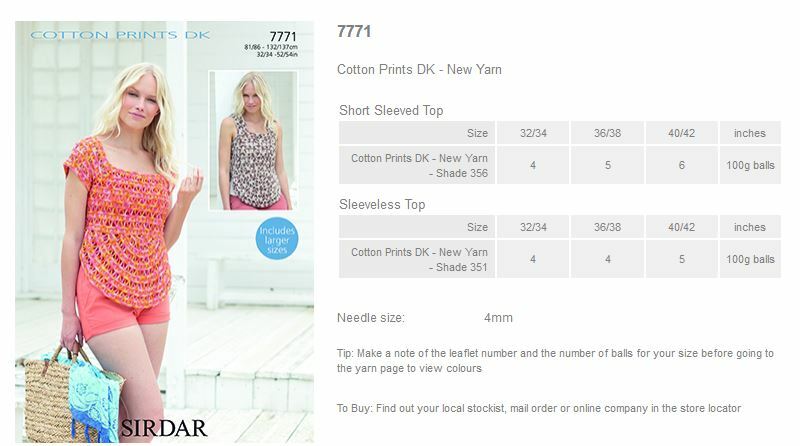 Leaflet with designs for Short and Sleeveless Tops using Cotton Prints DK. © 1997-2019, English Yarns Ltd./Shoreham Knitting and Needlecraft.